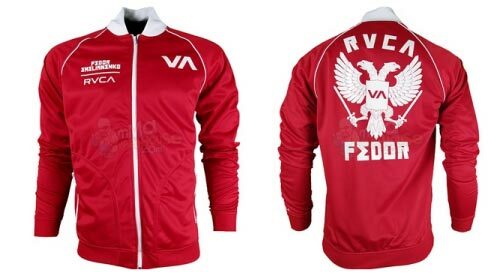 RVCA has taken their extremely popular Fedor T Shirt with the new Fedor Track Jacket. This jacket has the same warbird design as the T shirt but it is located on the back instead of the front. 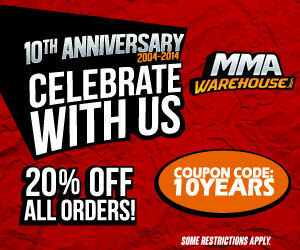 The Fedor Jacket is easily one of the best looking MMA track jackets. It’s very stylis and reminds us of a an Olympic team jacket with clean lines and professional looking logos. RVCA did a magnificent job with their Fedor Jacket and is sure to be just as popular as the Fedor T shirts. The design is great and fabric is comfortable, it’s made of a polyester blend that is super soft and warm.